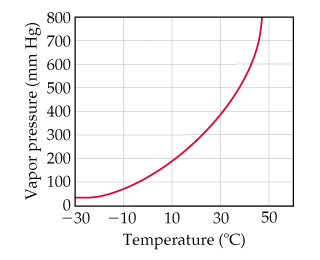 Solution: Using the graph, determine the following.The temperature at which the vapor pressure equals 300 torr. Using the graph , determine the following. The temperature at which the vapor pressure equals 300 torr.